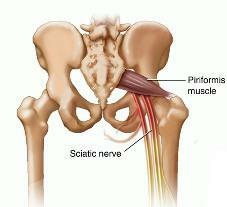 The “King of the Hip,” or piriformis, is the culpret for many hip dysfunctions in athletes and non-athletes. The piriformis is a muscle in the gluteal region and is one of six muscles in the lateral rotator group. Function: The piriformis muscle’s primary function is to externally rotate the femur at the hip joint. Now lets show you how to release/stretch this muscle. Using a foam roller, position your glute area on top of the roller. Gently move yourself a short distance forward and aft. After about 20 seconds, you’ll feel that you can roll approximately 4-5 inches in either direction. Roll for 1 minute total per side. Following your foam-roll session, use a static stretch. I will show 3 ways to do a static stretch to affect the piriformis. Lastly when stretching focus on quality, breathing, and listen to your muscles.